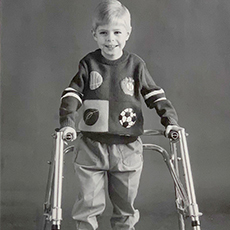 Easterseals Arkansas provides top quality, innovative services to help children and adults with disabilities and/or special needs as well as support to their families. We've been helping families for over 70 years. Today, we have assisted more than 20,000 Arkansans annually. What types of services does Easterseals Arkansas provide? How many people receive Easterseals Arkansas services each year? Last year, Easterseals Arkansas served over 20,000 people in our state. How is Easterseals Arkansas supported financially? 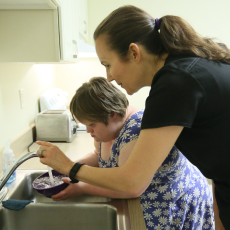 Easterseals receives funding from a variety of sources, including private insurers, government agencies and fee-for-service. To make our services accessible to as many people as possible Easterseals also relies on public contributions. Public contributions help cover the difference between actual program costs and what our families can afford. Help us to continue to provide exceptional services by making an online donation. Click here to make a donation. Is Easterseals Arkansas a non-profit organization? Does Easterseals Arkansas have a religious affiliation? Easterseals Arkansas' continued success in providing services to people with disabilities would not be possible without volunteers! Your time, energy and hearts will inspire and touch the lives of those we serve. 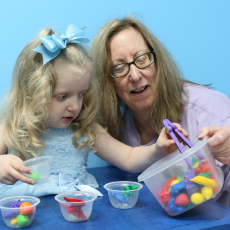 Your personal commitment enhances the services we provide to children and adults with disabilities nationwide. Click here to become a volunteer.